Functional design with five large adjustable vents on each side. 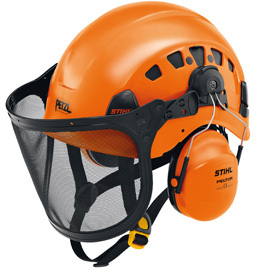 Removable nylon visor. Easily adjustable chin strap. 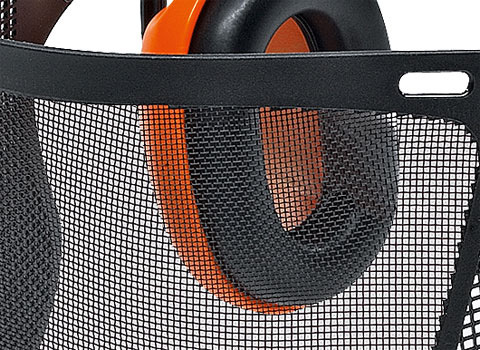 Removable ear protection that insulates well. 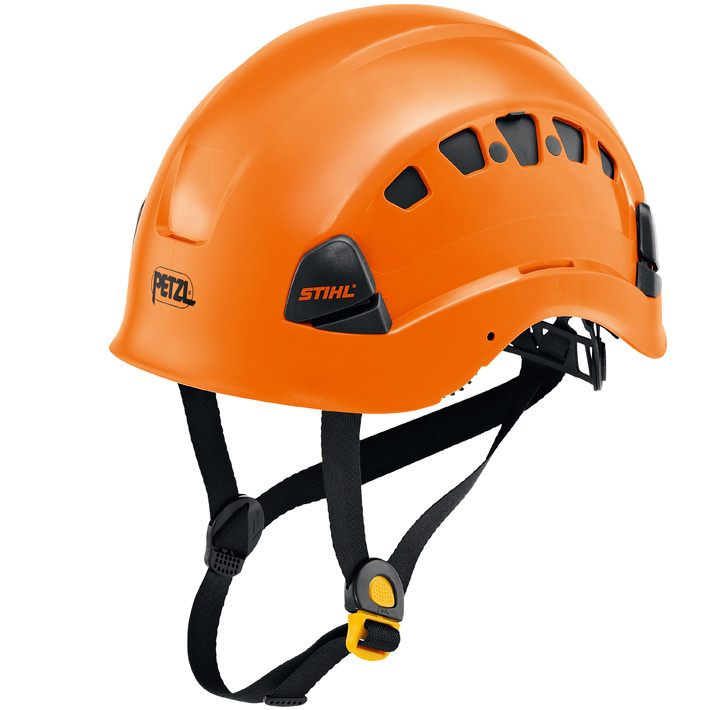 Only approved for arborist work or rope access work. Not suitable for working at ground level. The helmet has a service life of up to ten years. Thermography shows the advantages of a helmet with standard ventilation (right). The temperature fell by two to three degrees and the humidity increases by 50 per cent. The most widely used. Flexible nylon mesh, reducing risk of breakage and higher durability. Please note: The face shield can not full protect the eyes, the use os safety glasses is highly reccommended.